Dieu and Soul have already overcome a fear of open spaces to forage outside – but legacy of physical damage means a constant struggle to stay healthy. 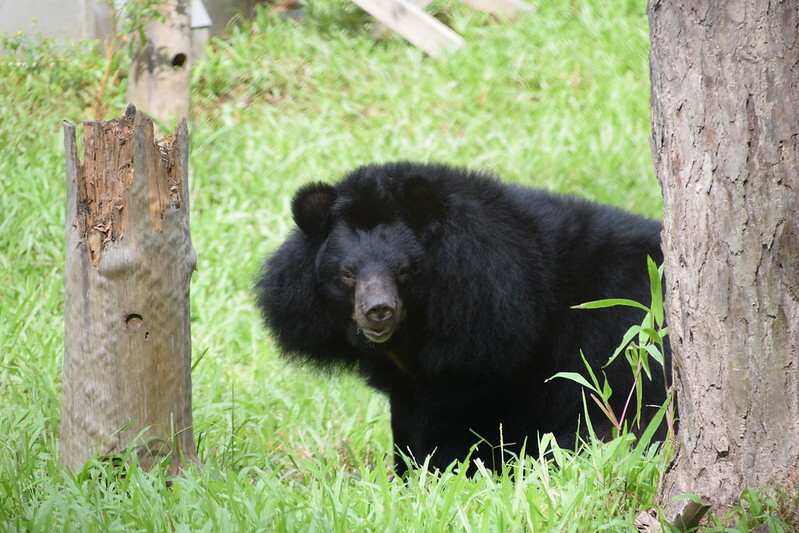 When Dieu was rescued from a bear bile farm in Vietnam’s southern Binh Duong province six months ago, her soft, sweet face was expressionless and her eyes vacant. As the vet team from Animals Asia sedated her for an emergency health check, Dieu didn’t even flinch, unlike the other bears who reacted to being injected. In fact, she hardly moved. Everything about her quiet, submissive demeanour suggested an acceptance that life meant pain – something that was borne out by her physical condition. 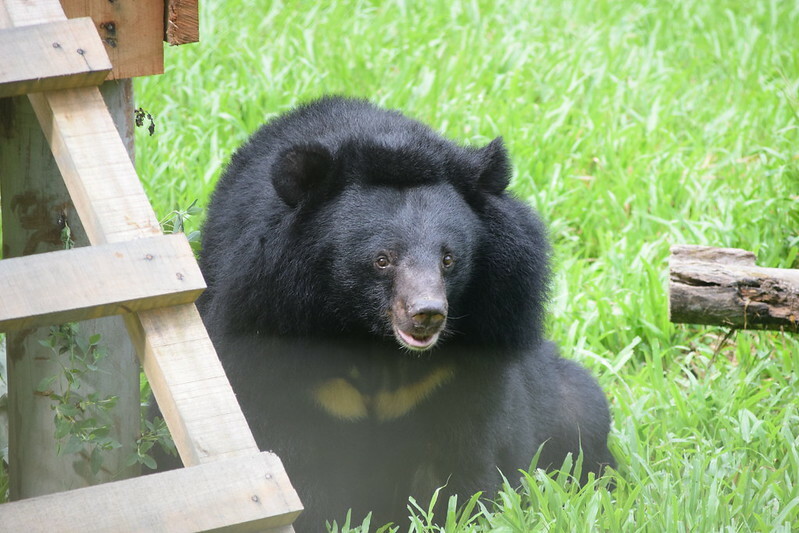 She was obese – the heaviest of the nine bears rescued from the farm that day – with no muscle mass from the terrible diet she had been fed. She had two scars across her belly most likely caused by a poacher’s snare. Her spine was permanently curved which meant she was unable to lie on her back and her joints were showing signs of arthritis. A further examination showed that her gall bladder was thickened as a result of repeated bile extraction. 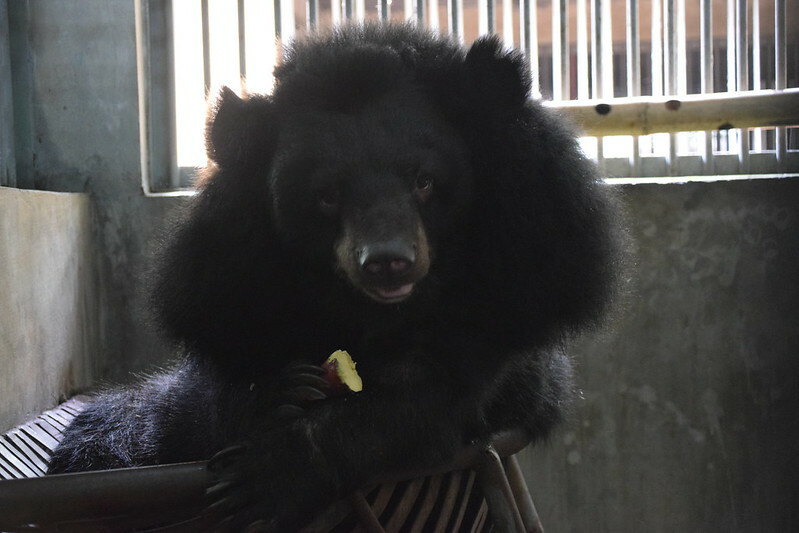 Nearby, another moon bear now known as Soul, also sat contemplatively in her cage as her rescuers approached. Like Dieu, Soul was a large lady whose weight, combined with a poor diet at a young age, had resulted in permanent deformities in her hind limbs and arthritis in her joints. 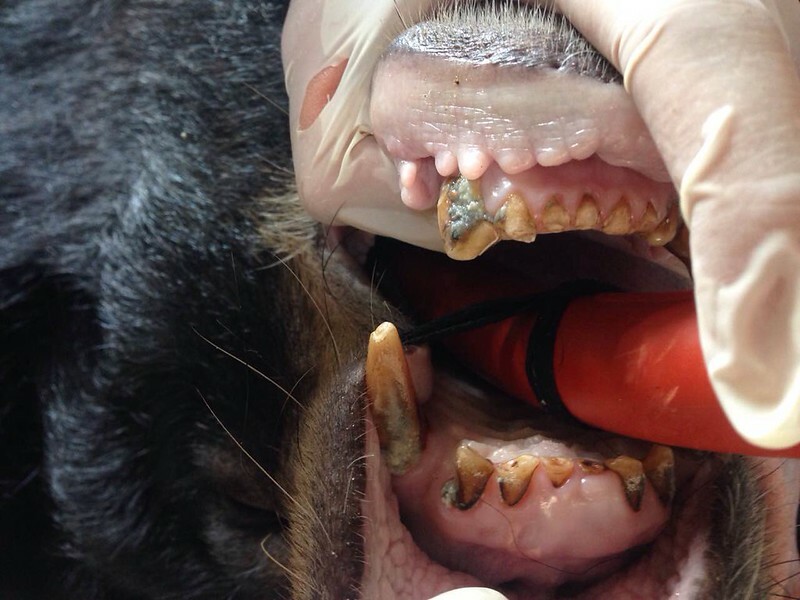 She also had lots of broken teeth, which made eating very painful. 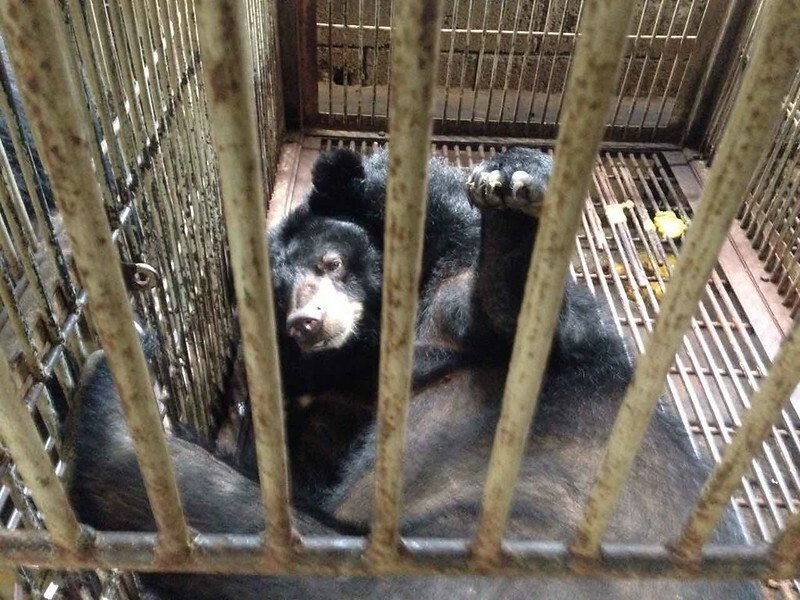 Little did these bears know that their lives were about to change forever, that they were going to be whisked 1,500km away from their old life of suffering and torment to a fresh start in Animals Asia’s sanctuary in Tam Dao National Park. Since arriving at the sanctuary in June, Dieu and Soul have completed quarantine, moved into their dens and been introduced to new friends as well as spending quality time with old neighbours for the first time. In September, Dieu and Soul were given the chance to explore their semi-wild grassy enclosure – the biggest space they have ever known – for the first time. But it was all a bit daunting for bears who had spent years in a confined space, peeking at the outside world through the bars of their cage. At first neither felt confident enough to venture onto the grass. But gradually they overcame their fears together and by the end of October these best friends were happily foraging for carrots, apples and other treats outside. “It’s really sweet to see how close Dieu and Soul are to each other. They love spending time together and can often be seen sharing a basket together — although how they both manage to fit inside one basket, we’ll never know! “After so long inactive on the farm, their bodies remain damaged which makes it difficult for them to be as active as we’d like. This in turn leads to difficulty keeping weight down to avoid long-term health issues. Heidi and her team tackle this in a number of ways. Obese bears might get a smaller, measured portion than their housemates – and be fed separately, or food might be hidden in puzzle feeders or placed high up to encourage movement and activity. 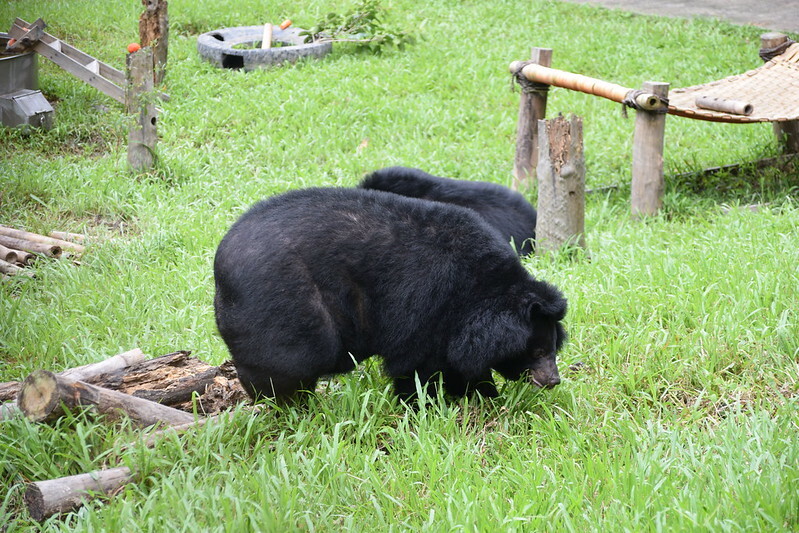 To get Soul and Dieu moving a bit more, the team put the tastiest food at the back of the enclosure so the bears have to walk a bit further for their apples, while the less desirable food (for these two, this includes tomatoes) is left near the front. 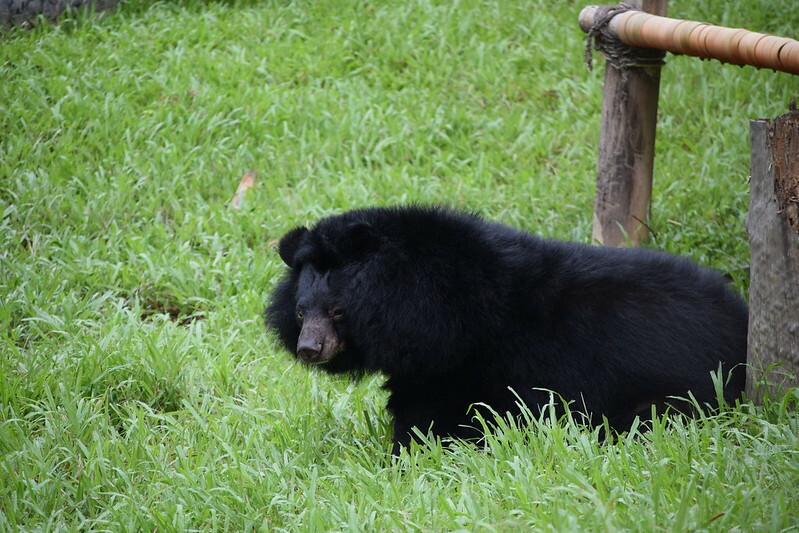 “Putting new bears onto strict diets is rarely appropriate since our first priority is to get them to start accepting their new balanced and nutritious diet, learning to trust food will reliably come and getting them settled into sanctuary life. “We often find this combined with opportunities to forage outside will result in weight moving to a more appropriate level. But we also want to ensure an abundance of everything to prevent unwanted competition and aggression among the bears.